The inexplicable run of Scary Movie sequels, or films from the Seltzer/Friedberg catalogue, or anything from Michael Bay comes to mind. The George Lucas debacle (Episodes 1-3 of the Star Wars saga) makes me want to cry, because the rest of the canon fils me with such joy. Movies made from memes, emojis, and online anecdotes have no business being made - at least with the budgets they possess. For every Sixth Sense or Unbreakable, M. Night Shyamalan offers up a Last Airbender or Happening. To get D.C. Cab, The Client, and The Lost Boys (and Falling Down, Flawless, Cousins, etc. ), Joel Schumacher apparently had to give us Batman and Robin. And Batman Forever, which almost killed Batman. Forever. There are so many “classic” movies that I despise, whether they be cult classics or popular genre films, I find myself hating many films that people seem to love. Titanic. Twliight. Night of the Living Dead. Jodorowsky’s Tusk. Aronofsky’s Noah. I have a hard time realizing the greatness people see in the films of Hayao Miyazaki - they’re enjoyable at times, but I can’t go much beyond that. All that being said, I asked the folks in the newsroom to give me their choices for Least Favorite Film, and this is what I got in return. Joe Avento, Caddyshack 2: The worst movie of all time is Caddyshack II. It’s so bad, all other bad movies have to be considered the “next-to-worst” because nothing is as bad as Caddyshack II. It’s the only movie I ever walked out of. Replace Rodney Dangerfield with Jackie Mason? What else do you need to know? If you don’t believe me, don’t go see it for yourself. Robert Houk, On the Waterfront: I can't stand On the Waterfront — and it really gets my goat that movie snobs say It's a great film. 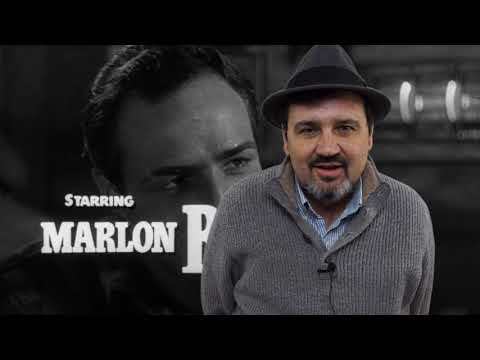 I can't stand Marlon Brando's overacting. He hams his way through this movie like he does in many of his roles. I dislike the director, too. Kazan is overrated and a bit too predictable for my taste. There's a reason for all the bad Brando impressions based on this film. I shoulda seen another movie! Jared Bentley, Highlander 2: I was a huge fan of Highlander, it is in the short list of my all-time favorite flicks. I was so excited to see Highlander 2 when it came out, and The Quickening was a huge disappointment. All of the mythology that made the first movie great was thrown to the wayside in favor of an “alien” storyline, and the script was asinine. The production value was decent, but lacking, and everything else about the film fell into the “please, don’t do this” category. It is an abysmal film that left a young man sad and destitute while leaving a theater in a small town. Hannah Swayze, Star Wars: If I had to pick a least favorite movie it would be Star Wars. I just can't get into it. I love sci-fi but I always fall asleep. Please don't send me hate-mail. PLEASE don't send me hate-mail. Kenneth Medley, Sky Captain and the World of Tomorrow: This is my least favorite movie of all time, because, in my opinion, everything about the movie was awful. The writing was weak, not accurate, had the slowest progression and a serious lack of character development. The production has the worst CGI I have ever laid eyes upon. During one scene the main character, played by Angelina Jolie, places her hand on top of a 1930s era automobile. The car of course is CGI, because the producers couldn't spring for a real car, but the most atrocious part was that Jolie's hand is in between the sheet metal. The animators could not even put her hand on top of the car. The movie has weak writing, lazy animation and sloppy editing that makes Sky Captain and the World of Tomorrow my least favorite movie. It is the first film that I slept through in a public theater. It was ultimately a waste of money and time. The lighting did not eve have continuity. I have tried to give the movie a second and third chance, it is still atrocious. I do not think there was anything that could have saved this production, other than scratching the whole thing and starting over. It never should have been made. Given these choices, what would your Least Favorite Film be?